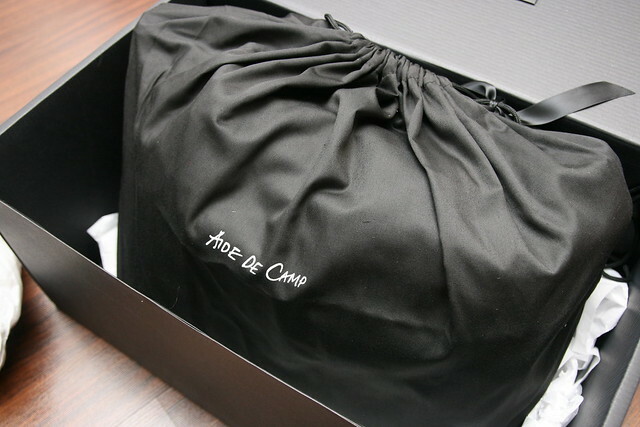 Preview of the Aide De Camp Valencia Camera Travel Bag: It's Wonderfully Fashionable and Functional! And not only that, since I'm already halfway to the US, I thought I'd hop over the pond and say hi to some friends there! I have not been back to the States since 2001 (actually just a month before 9/11). Will spend two weeks in the US along the East Coast - flying in to New York, then Durham in North Carolina, and New Orleans, and then up to Boston, before flying back to London and Singapore. It's a lot of places! For this trip, I'm glad to have the Aide de Camp "Valencia" camera travel tote. 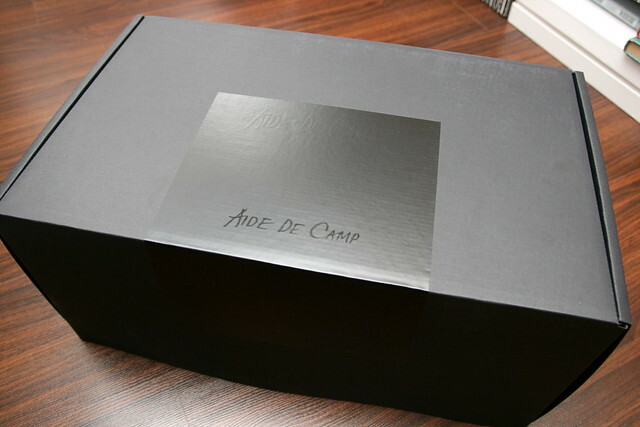 ADC makes such beautifully sleek yet practical camera bags so women don't have to compromise on style. But style aside, I really love how well designed and functional the bags are. I'll be stress-testing this baby through multiple flights and journeys. Let me give you a quick unboxing preview! Gosh, the box alone is pure understated cool. 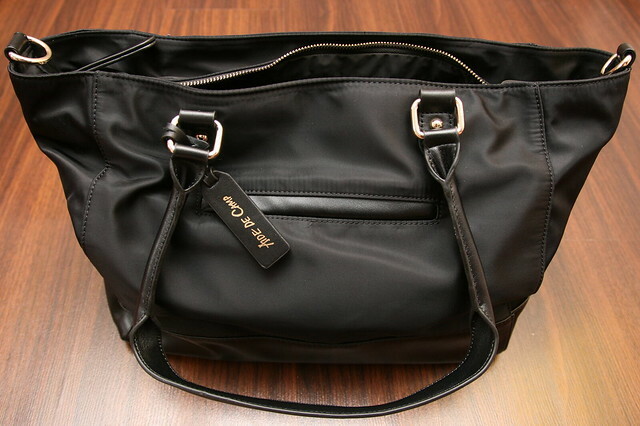 Your bag is well-protected by a nice drawstring bag with ribbon details. Sweet. I love how the bag feels! It's made of tough nylon and real leather trimmings. Lightweight and water resistant. 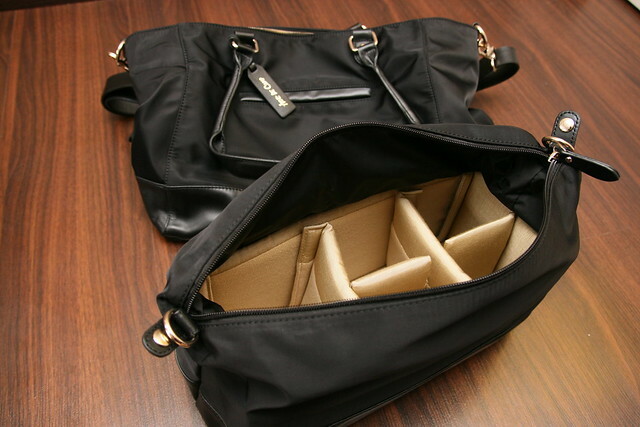 The inner compartment with the removable padding system detaches, so the bag converts into a lighter handbag when you don't need to tote your heavy gear around. It's two bags in one! Clearly a lot of thought went into the design of the bags - the compartments and pockets for neatly organizing little items (extra cards and batteries) and personal effects (passport, mobile phone, cables, sunglasses, lipstick and stationery). There's even space for tablets and magazines. I threw in a book and paper notebook as well. You absolutely have to take a look at the video. I did and almost cried - this is the bag I've been wanting all this time! 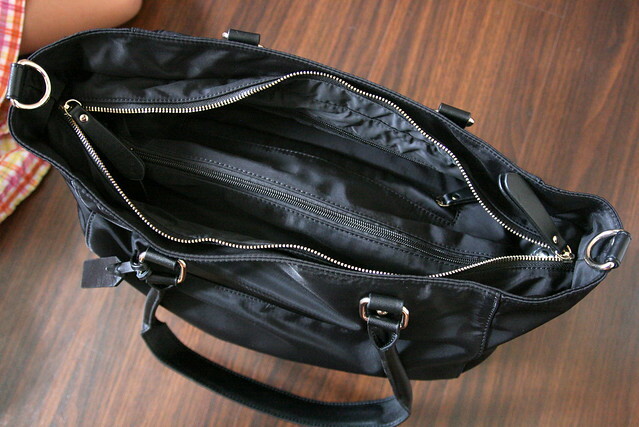 The clincher for me was how it fits securely over suitcase handles with a special zippered flap. And all those compartments? Oh it's perfect. I am so glad Michele Ng the founder decided to make these premium camera bags. It was born out of her own frustration with having to choose between stylish and practical alternatives - she's combined both, so we can have the best of both worlds! I will have a better report (and more pics) after three weeks on the road with the Valencia. Stay tuned! The bag looks like such a beauty for being a practical one. Would love to have one. Even if I don't carry with me my DSLR, it seems like it could double up and tidy up my things in the different compartments.